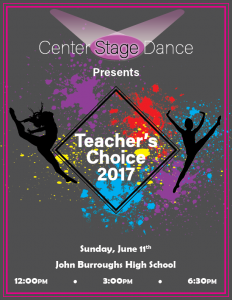 Every year Center Stage Dance puts on an end of the year recital to showcase what the students have learned throughout the year. 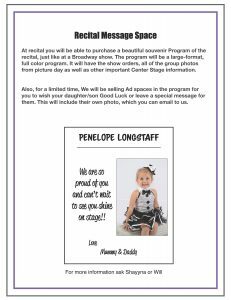 Each year a theme is chosen for the recital and each class performs a different routine. 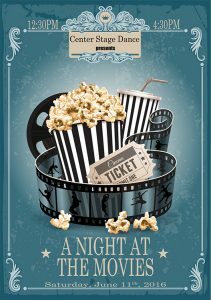 It is put on at a local theater in full costume and is a great way for the parents to celebrate what their child has accomplished by completing the dance year. 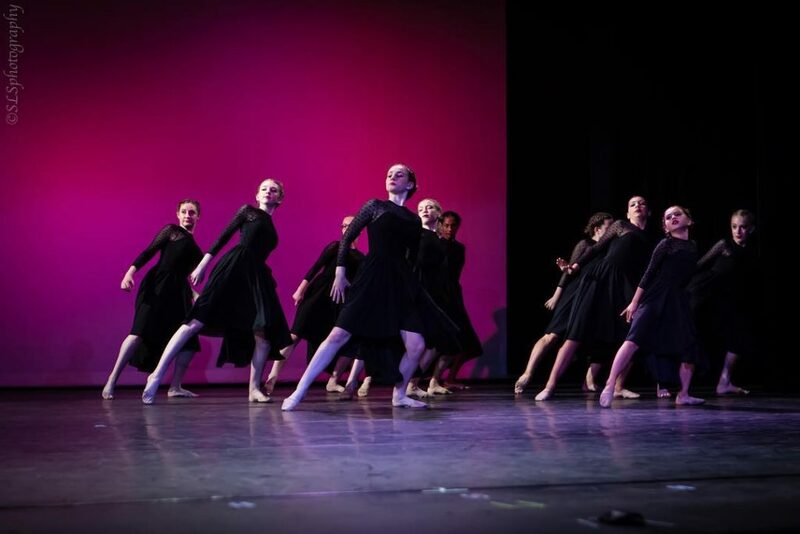 It is not mandatory to perform at the recital but we do encourage everyone to participate as it is a fun event for everyone that builds confidence and self-esteem. We will be selling Ad spaces in the program. Wish your daughter/son Good Luck or leave a special message for them. We will also include a photo of them, which you can email to us. It was such a huge hit last year and is such a great souvenir for the dancers and a special memory of such a wonderful year.